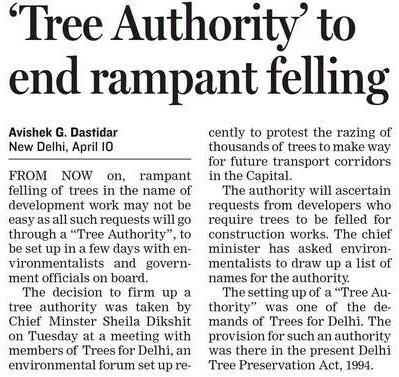 The 'Trees for Delhi' effect! The ‘Trees for Delhi’ effect! After some lot of good work done by the Trees for Delhi Organisation, (Read some of it here) – this is the change that they have been able to bring about! Kudos to them and to everyone who participated in it – both online and offline. PrevJNU plans a Butterfly Park!